I'm actually here in Vegas to see Beyonce's boo, Jay Z, do this thing. 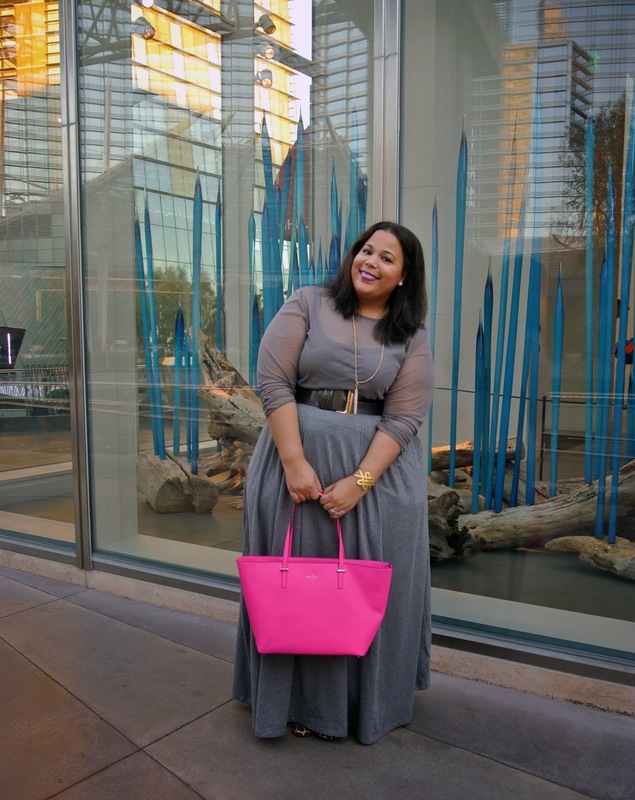 Today was casual and comfy for me with this monochromatic maxi skirt and top combo. Last night's concert was totally awesome. Being a JayZ fan since his Reasonable Doubt album, I was pumped that he did songs from that album. My friend's brother actually asked me, "What album are these songs from?" I cranked my head around and almost thought he was kidding. I was like, "Only his first and best album ever! Ugh! I'm gonna need you to go get that." These young kids! LOL. Anyways, the concert was at the Mandalay Bay, which was cool because it's a smaller arena and more intimate. If you were thinking about going, you definitely should. 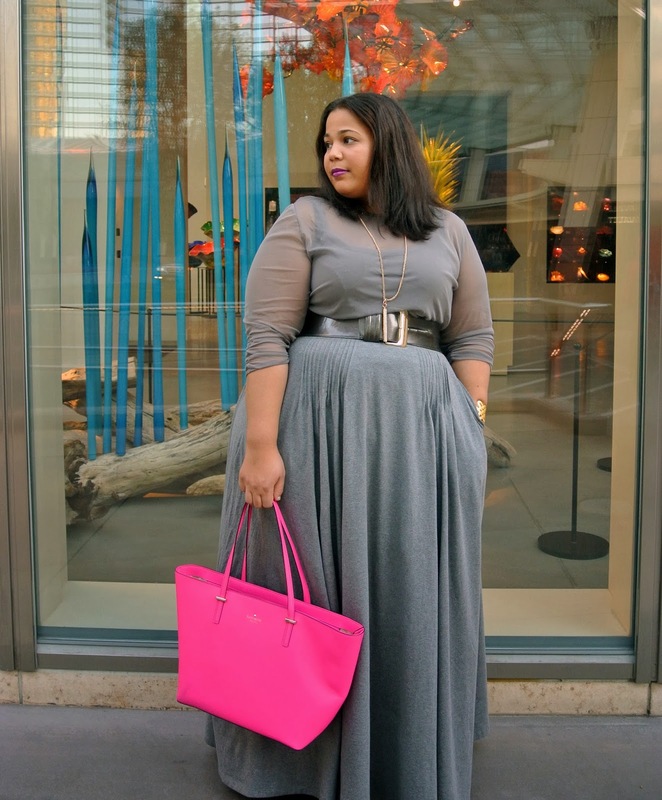 Style Note: So I went back to link this skirt from eShakti and I couldn't find it. I swear this happens every time. The site is a little weird. Items will come, go, and come back again. So I would just check back. Also, you can customize the length. When ordering you enter in your height and they cut it accordingly. As you can see they got it perfect for my height. More posts on my trip to come. Also, this top reminds me reminds me of Kathyrn's top in Cruel Intentions. I'm kind of pumped about it. Amazing look and I absolutely ADORE your hair straight or curly but this straight is amazing! You know with the weather it's straight hair season lololol. Very chic! You look amazing! You look great. I love Jay Z too! Beautiful look! I am loving the skirt and top! Yes, I do. LOLOLOL I work from home and I wont be leaving the house, so there are days I'm in a sweatshirt and leggings. i love it! also your bag i have it in a different color. wonderful isnt it? Yes! It's so spacious and you can get to everything easily. Just Lovely. . .the hair, the outfit, the handbag. Everything!! Love that skirt! ANd also the sheer sleeves on the top! You look STUNNING!!! LOOOVE THIS LOOK!!! I love this look! 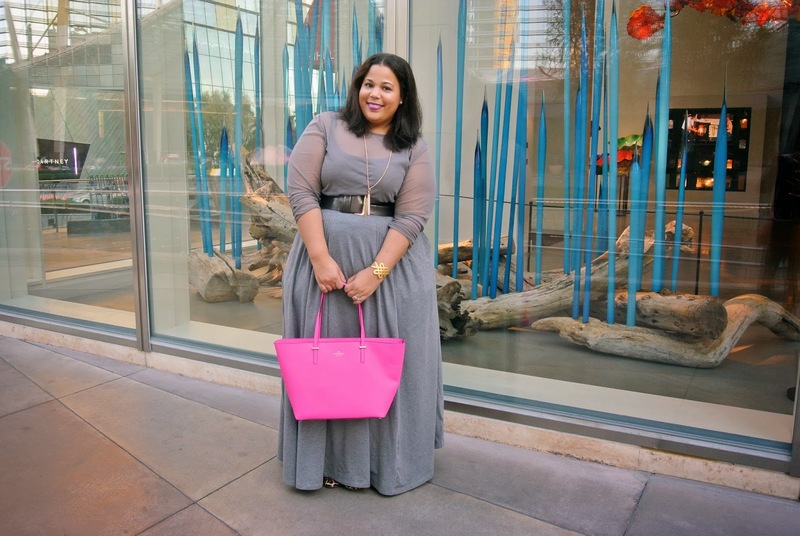 All gray and that pop of pink! FAB!!! I just got my first orders from EShakti and was pleased with the fit and quality but noticed the same thing you did. They had a big sale, and a few of the items I put in my bag were listed "temporarily out of stock" but then many of them reappeared after the sale ended. Weird. But I was pleased with what I got and will totally use them again. 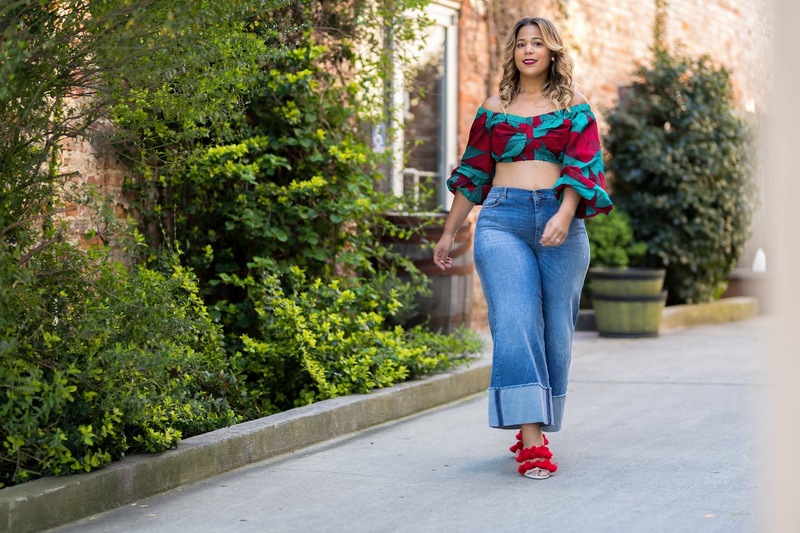 Definitely nice when you have the option of changing that one thing that you wish you could change on a lot of clothes, length, sleeves, necklines. I wish some of the basic dresses had the option of different colors b/c maybe it is seasonal but a lot of the dresses in the styles I liked were all grey and black, and In know I am dying for an emerald green dress (but haven't seen one in a style I'd wear). 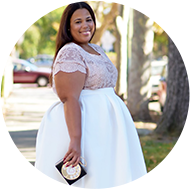 I love looking at your blog b/c of the way you mix and match things that people have but wouldn't necessarily think to pull together. So it is very helpful at those moments when I'm like, oh, I have nothing to wear b/c it's so not the truth. I just get tired of wearing things one way and your accents help me figure out ways to make things look completely different. Thanks love!! You def. have to mix it up!! This my second time wearing this skirt and I wore it in two different ways. As long as you keep it fresh you repeat items all the time. You look absolutely gorgeous in this dress!